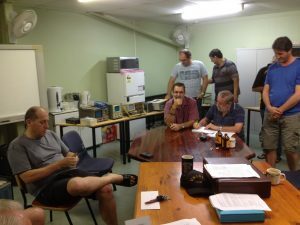 Amateur radio operators in Darwin form an interesting group who meet regularly to promote the interests of amateur radio and to share technical information and socialise. 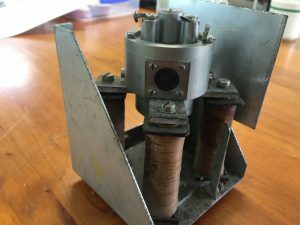 Apart from pursuing our own personal interests, members of DARC operate Darwins' emergency radio network which includes personnel operating from cyclone shelters during an emergency. We also provide operators for organisations such as the Red Cross. and has about 40 active members. 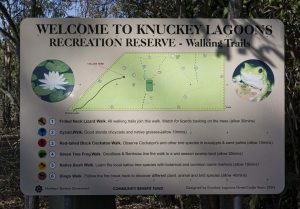 There are dozens of other radio operators operating throughout the Territory who interact on occasions - for example, when there are emergency warnings, they are able to activate radio links and share information. is one of the oldest clubs in Darwin. It provides emergency radio communication in times of need, as well as flexible communication networks for major social and sporting events throughout the Territory. 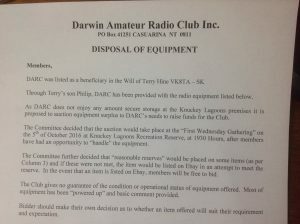 The club is the agency through which Territorians can gain their amateur radio licences.